The mission of the Council on Aging SeniorNet Computer Learning Center is to provide older adults education and access to computer technologies to enhance their lives and enable them to share their knowledge and wisdom. The Computer Learning Center is located on the second floor of the Rose Baker Senior Center at 6 Manuel F. Lewis Street. Ongoing eight week sessions are facilitated by volunteers who are devoted to the success of the program, offering many hours sharing their knowledge of computers, at the senior center and for many community involvements. Classes are held daily, 1st session, 9:15 a.m. - 11:15 a.m.; 2nd session, 1:00 p.m. - 3:00 p.m. 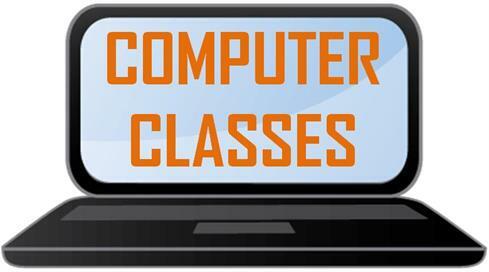 Some popular course offerings are: MS Word, Excel, Internet Explorer and Email, Computer for Beginners or Intermediate, and Fun with Computers. Other courses are also available. Current group of steadfast volunteers include: Ed Chabot, James Nolan, Hank Camille, Charles Brackett, Joe Grace, Dan Klein, Robert McKechnie, Edna Beaudoin, Trish Roach, Joanne Aiello, Lorraine Law, Peter Jenner, Vincent Libro, Frank Osborne, Lois Couch, Raymond Mello, Mel Arsenault, Joyce Beaudet, Sheila Brown, Arthur Sheehan, Mary Ventimeglie, Anne Letendre, Dianne Anderson, Brad Bigelow, Sheila Irvin, Gap. A. Lafata, Paul McGeary, Selma Bell, Muriel Lovasco, Asheila Schrank, Everett Jylkka, Joyce Zopf.